Great place for a large girls night out. Great service and they had a good set up for a large group. The noise level was probably mostly from us, since we were a large group. Excellent food, drink and service! Very nice atmosphere! Had a great time here. Good food and fantastic service. Would definitely recommend and plan on dining here again when in the area. Justin, our server, was attentive, helpful and kept us apprised of every aspect of our dining experience, from bread, appetizer, beverage, entree to dessert. It was a delightful evening. The noise factor left much to be desired, but everybody was enjoying their time. Food hot and delicious as always. Service outstanding. Not a fan of the settees; they sit too low for me. Food was great and server very attentive. Not too noisy so able to talk easily with friends. Great place to get together with friends for drinks and shareables! Lauren was a great server. She was knowledgeable about the food and wine. Charming restaurant. Good food. Nice wine selection. This is the second time I've been to Napa and had poor service. Our waitress had tables all over the room and it took 10 minutes to even greet us. I ordered Chicken tortellini which was 18 dollars. I received like 10 pieces of pasta and not an ounce of chicken. She said it was stuffed with chicken but I cut into all of them and there was NO chicken. To charge 18 dollars for something so average and bland is ridiculous. My husband got surf and turf and asked for it to be cooked medium and it was well done at best. This was his Birthday and I asked in my reservation if we could do something special like a dessert with a candle and we waited for 20 minutes after dinner and nothing ever happened so we left. I was really disappointed overall especially since this was a special occasion. Our server Ally was outstanding! Great recomendations and service! Food was good, service was great. Overall, we were trying to have quite dinner and ended up with some loud folks behind us, and one in particular that had the most annoying laugh, and very loud. But, it was the patron, not the restaurant. Overall very good. The service & staff & food were all amazing! We had the best morning dining here. I can’t say enough about how great our experience was Sunday morning. 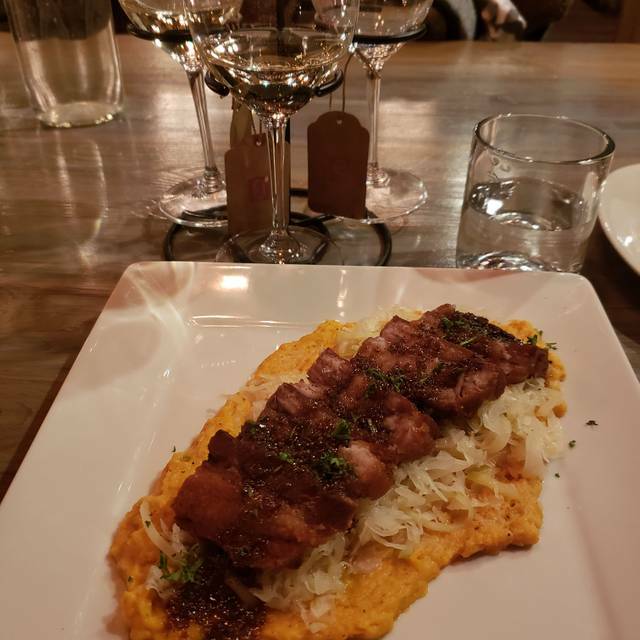 I had the pork belly and it was very good but the mashed sweet potatoes it was served on were not warm suggesting it had sat awhile waiting for the pork to be cooked. I expected better. This was our first time at Napa Kitchen and bar. We were excited because you have good reviews on open table. The ambiance is beautiful. Unfortunately, everything else was mediocre. First of all, the service was slow and the server was not knowledgeable at all. This seemed like his first day because every question we asked, he did not know how to answer. Although that was disappointing, the food was the worst part. We ordered the surf and turf as well as the smoked chicken tortellini. Everything was lukewarm at best. The surf and turf came with THREE pieces of fingerling potatoes. Pretty much one fingerling potato. The tortellini was so bland and we could not even identify the chicken in the dish. My partner and I did not finish either dishes. Luckily we had gotten a truffle mushroom pizza as an appetizer. That was the only fine thing we ate here. We really wanted to like this place, but left so disappointed. Although the service was great, we weren't too thrilled with the quality of the food. The fondue appetizer, pasta, and filet were all just ok. We were hoping for more based on the great reviews. We had an excellent meal at the NAPA Kitchen our food was very good our server was great very personal and engaging. The decor is very inviting and the deserts are the best. We loved it over there bit they asked too many times if everything is okay. We just wanted to enjoy some time-out and talking and eating and have a glass of wine and they asked us every 5 min if everything is okay. That’s a nice service but too often!!! 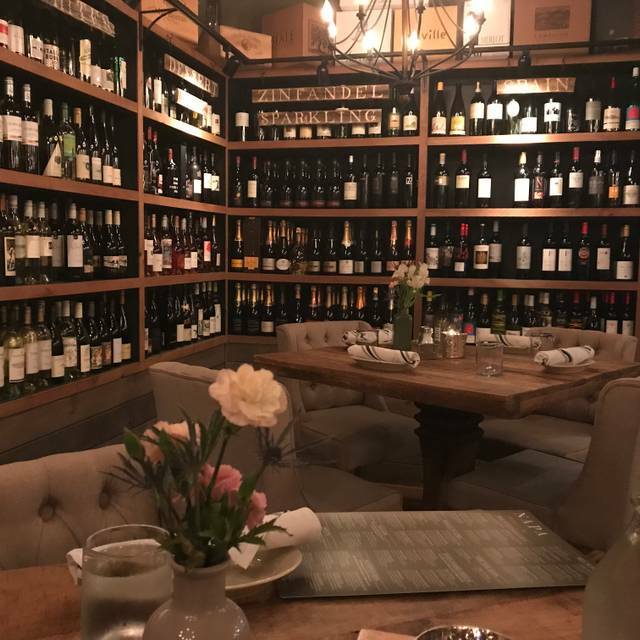 Great service, excellent wine selection, relaxing ambiance. Very knowledgeable of their wines. We went during Sunday Brunch. Staff was very friendly. Good was delicious. It can be a little noisy, but there were a couple of large groups there during our meal which added the noise level. Would definitely recommend. We went for Sunday brunch. Really really good and surprised how inexpensive. Definitely recommend. Always a great restaurant. Service was wonderful and the special my husband ordered was delicious! Love the wide menu choices and the no corkage fee. 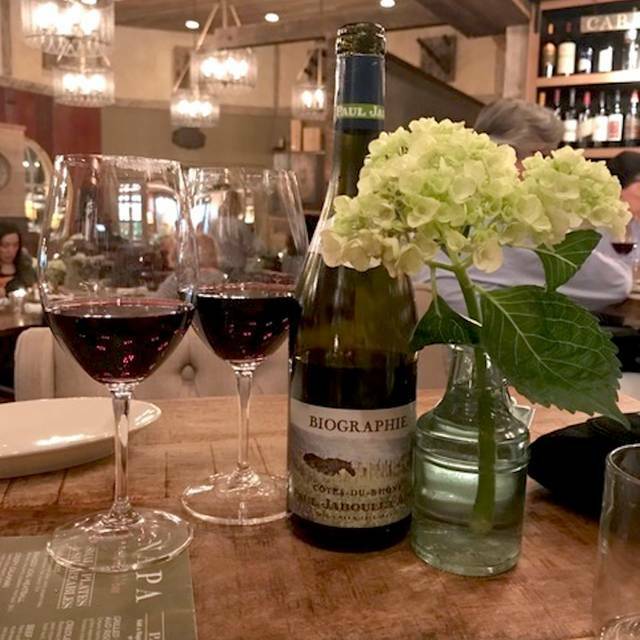 Great wine selection, creative & tasty food, great service. Kim is an amazing waitress. Very attentive without being overbearing. 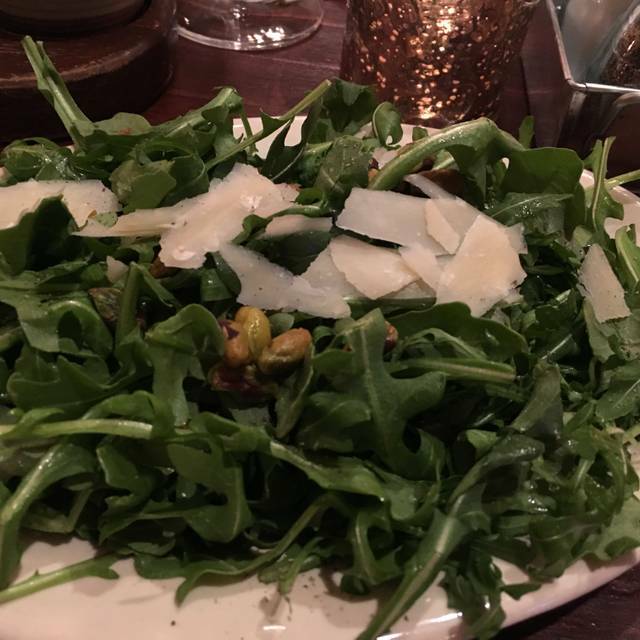 The arugula salad with chicken was fresh and delicious. Menu is similar to the Wine Bistro with more options. 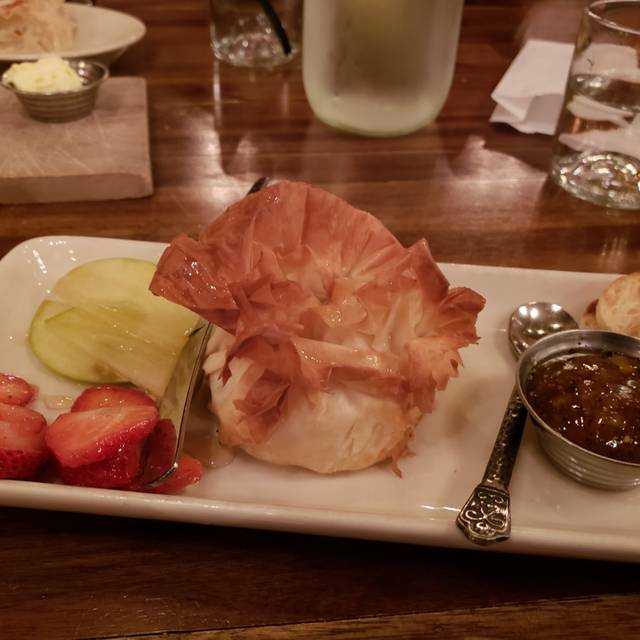 The Brie was gooey and perfect with the apples and crackers. 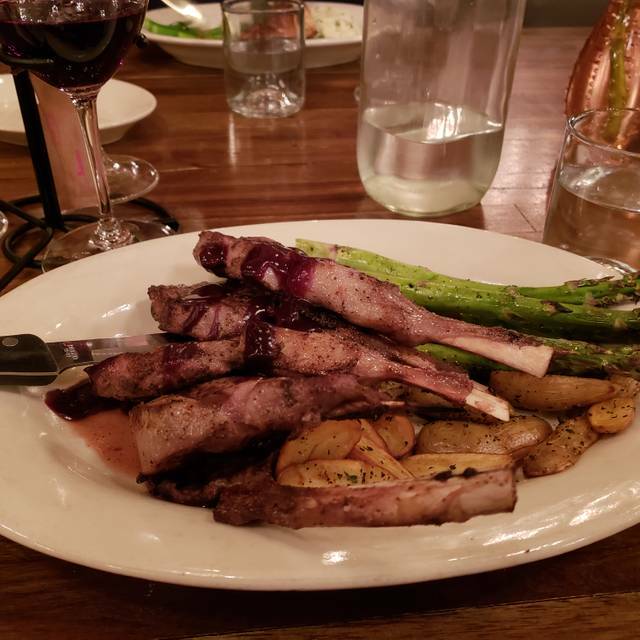 We have gone to NAPA several times, and we have always been very pleased with the food and service. We like the layout of the restaurants with the various enclaves. We had a party of 6 people and due to the layout it was very intimate and the overall noise level was low enough that we could easily have conversations. Nice calm and relaxing ambiance. 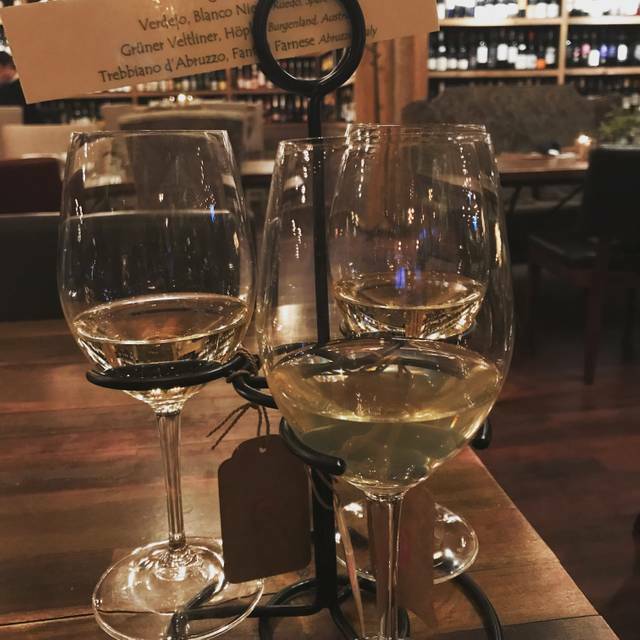 Really enjoyed the wine flights. Good was all very good. Would definitely come again. Our party of five could not have been more pleased. We were in a back room off the main dining room, which worked out perfectly for our visit (friends coming from different parts of Ohio). Our server Kim was fantastic, suggested some great options and was spot-on in delivering service excellence. The restaurant is so unique in decor and ambiance. You immediately feel welcome, like coming into a resort or lodge setting. The fondue was delicious and plenty for all five of us. The pork chops, sesame orange glazed salmon and fettuccine del mare were excellent. The soft and smooth red wine flight included excellent choices. Kim made the desserts sound so good, that we split the carmel apple crisp; the maple bourbon bread pudding and the salted carmel cheesecake. All were delish!!! We were not rushed and never wanted for anything with Kim's service. 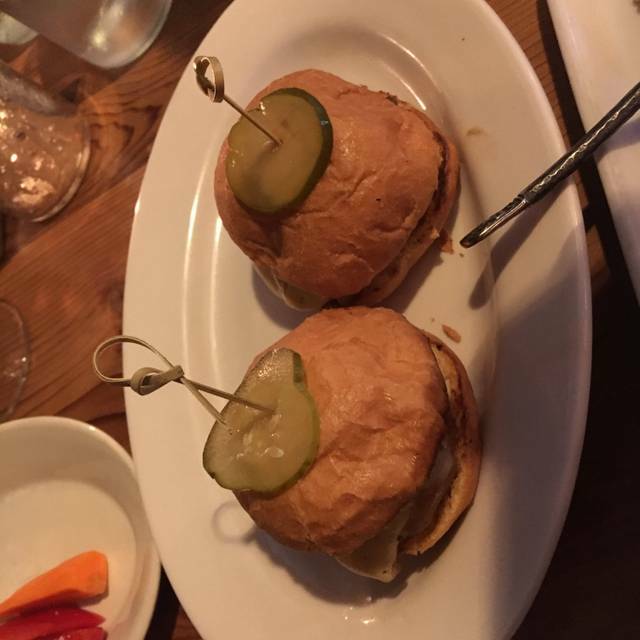 We can't wait to plan another visit, to try other menu items. Napa Kitchen has a wonderful and quiet atmosphere. The food is great. The hostess and server were exceedingly friendly. We ate there the previous week and the pasta dishes we had were outstanding (the baked penne and smoked chicken tortellini). This time, a week later, they were just so-so. Clearly, different cooks. They were not as creamy and the tortellini (two of them) came out and were not hot, but just lukewarm. The first time I had it, it had a healthy serving of pancetta and smoked tomatoes. This time - hardly any pancetta. Service, this time, was a bit sketchy. Granted, we were a party of 8 and were not in the biggest hurry to order. 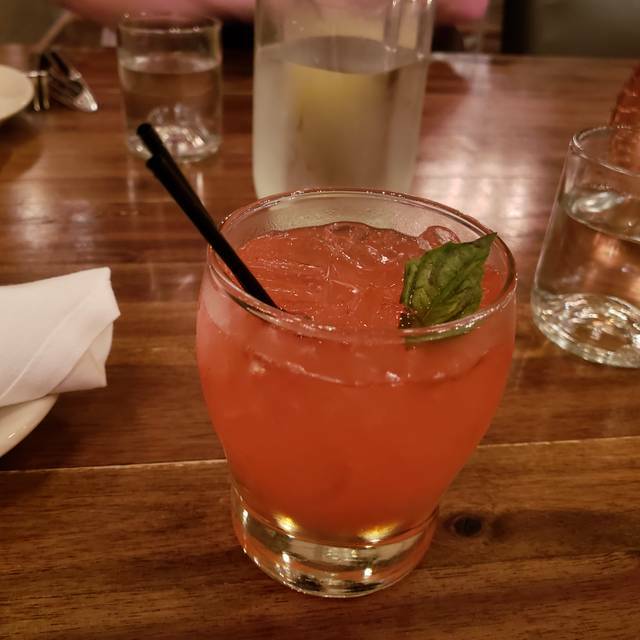 However, there were times when others wanted to order drinks and we couldn't find our waitress and she really never checked up on our food or to see if other drinks were needed. The cheese board was great (although bigger pieces of cheese may have been better) as was the phyllo enwrapped brie. Lobster bisque was good. Used Open Table for convenient reservation. We were immediately shown to our table. Food service & ambiance. Although our server tried hard, she had been assigned too many large tables with no one else to help. Other wait staff seemed to have little to do, so management should have directed them better. Our party of six waited nearly 40 minutes after being seated before our server came to take our order. Perfect ambience for an intimate birthday celebration .